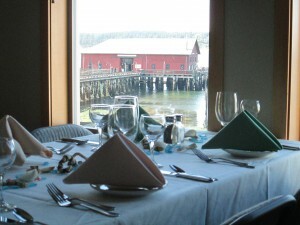 Front Street Grill offers a beautiful dining room and full bar with awe inspiring views of Penn Cove and Mt. Baker. Pair the beautiful setting with a carefully crafted and exquisitely executed menu that provides a classic American Grill experience plus authentic Pacific Northwest fare, and you have the recipe for a perfect Whidbey island dining experience. Highlights include the Penn Cove Mussels and Prime Rib. Front Street Grill offers take-out service, as well as full service catering in their dining room or at a location of your choice for your special event. Located just 3 doors down from the Historic Coupeville Wharf, Front Street Grill is the perfect place for causal dining in a warm atmosphere. Bring your whole family for lunch, dinner or weekend breakfast. 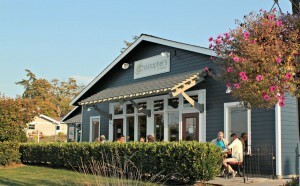 Their menu includes vegetarian and gluten free options, as well as a kids menu. Located in the scenic seaside town of Coupeville, WA, Toby’s Tavern on beautiful Whidbey Island is everything you hope a small town tavern might be…. great food and great times – a friendly place to gather! With scenic Penn Cove just outside the windows and views of the Cascade Mountains in the distance, Toby’s Tavern is especially well known for serving up generous portions of world famous Penn Cove mussels. Pair this mouth watering dish with your favorite beer or wine, and you’ll have a feast to remember. Toby’s Tavern has been the center for good cheer on Central Whidbey for generations. At Toby’s you’ll experience the feel of an old pub in a small town setting. With affordable prices and a wide selection of wine and beer, Toby’s Tavern is casual dining at its best. The menu at Christopher’s is small, but foolproof. Anything I have tried here has always been delicious. I’m a bigger guy, and the portions are so generous, even for someone with a large appetite like me that I can count on taking something home to enjoy later. The prices are very good for the food you receive. The Penn Cove Mussels are in a wonderful sauce….. Chef Andreas uses just the right amount of garlic, cream and white wine. If you are looking to try the famed Penn Cove Mussels, this would be my first choice! Other highlights include the Bacon Wrapped Pork Tenderloin, and Raspberry Glazed Salmon and Wild Rice. They have a great wine selection, including local wines, as well as an extensive beer selection. The service is generally top notch with attentive and timely wait staff who know not to ask you how your meal is when your mouth is full. Atmosphere is generally quite nice, with stylish decor, optional outdoor seating, and warm ambient lighting.